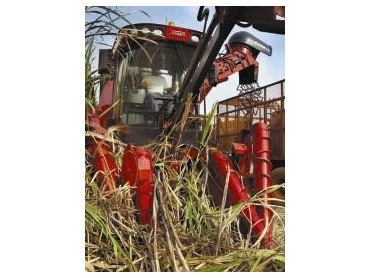 The release of Case IH’s first all-new harvester in a decade comes at an ideal time for Australian cane growers, with the domestic industry expected to cope well in an economic climate that is proving tough on other sugar-producing nations. The new 8000 series harvester retains the heart of the renowned 7000 series, but with class-leading enhancements in harvesting capacity and operator comfort. Key features include a new engine and cooling package; new cabin; updated hydraulics and standard AFS Pro 600 monitor. Case IH is also introducing the latest AFS autoguidance system to simplify operations. “With the new AFS, guidance paths can be created from Google Earth coordinates, which means the machine does not have to have been in the field to ‘save’ guidance lines as history for repetition,” Stuart says.